*In addition to the hours noted, the Ticket Office is also open one hour prior and thirty minutes after curtain for ticketed performances, including performances on Mondays. Classroom work from students, Pre-Ballet up to the Advanced Level. 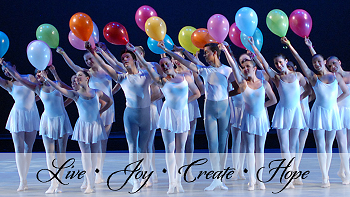 Join the celebration of hard work and progression of the dancers. The Lesher Center for the Arts strives to provide accurate advisories for each performance in regards to special effects that may affect patron health and sensitivities, including but not limited to smoke, strobe lighting, graphic violence, and aggressive sound effects. However, the Lesher Center for the Arts does not always provide advisories in regards to content, as content sensitivities vary patron to patron. If you have any questions or concerns about content, please contact the Lesher Center Ticket Office prior to purchasing your tickets, as all sales are final; the Lesher Center for the Arts will not refund any order to patrons who choose not to see a performance based on subject matter or personal view of content or quality. As a rental facility, the Lesher Center for the Arts may not be provided information on every intended special effect and maturity appropriateness in advance.